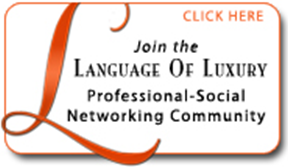 Are people following your luxury real estate marketing blog? Are they watching your videos? If you do it right, you can build an entire personal brand and a large audience around your blog and videos. However, if your content is canned, meaning unoriginal or generic, you will not stand out as a distinct brand nor will you be follow-worthy. Canned content equals canned brands. Have you heard the expression “Content is King” in reference to the internet and social media in particular? Content refers to articles, web copy (text on web pages and blog posts), videos, podcasts and photos. When you distribute content on the internet and include a link to your blog and or website you are basically inviting readers and viewers to find out more about you and your business. If your video, your blog post or your article is shared with others, who in turn share it with their friends, the exposure that your content receives can expand exponentially. This is what is meant by the term “viral” which comes from the concept that a virus can be spread in the same manner. It can be like word-of-mouth advertising on steroids! The more places you distribute your content the more potential traffic you can generate. Click-throughs on your content can account for over 90% of your web traffic and completely dwarf click-throughs that come from Google or other search engines, even if you are naturally ranked at the top of the first page of search results. That is the power of content to drive web traffic and that is why ORIGINAL content is king. If your content is boring, unoriginal or generic your chances of people clicking on your links diminishes accordingly. If you publish recycled, unoriginal material you simply will not be followed, which is the entire point of building an audience of subscribers. Recycling may be good for cans but not for blog posts. Unoriginal or generic real estate information is a turn-off in luxury real estate in particular. Imagine a Rolls Royce blogger explaining to a potential customer that they are looking at a car with four doors instead of telling them where to find the door mounted umbrella. Generic luxury real estate blog content indicates that the blogger lacks imagination and therefore lacks the marketing savvy required to win listings or sell expensive homes. Be original! Canned content equals canned personal brands.